Recent storms have transformed the San Bernardino County mountains into a winter wonderland, and mountain residents, public safety agencies and government service providers are bracing for the usual mass migration of snow lovers from all parts of Southern California. County government joins mountain residents and businesses, police and fire agencies, Caltrans and other mountain “locals” in welcoming weekend visitors while urging them to be courteous, be prepared, and be safe in their quest for snow and adventure. Snow and rain are expected throughout the weekend. Heavy fog is common on mountain highways. Motorists are reminded to be alert, slow for weather conditions and use headlights while driving. 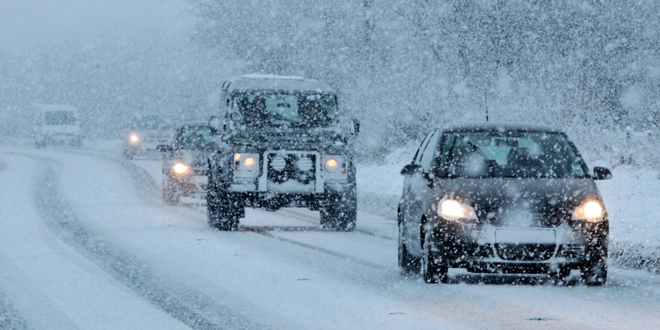 Avoid travel during storm events and check road and weather conditions before you travel. Motorists should anticipate delays and longer travel time. Carry tire chains. Chains are not a convenient option for motorists when ice and snow are present. They are required. Motorists must carry chains or other legally compliant traction devices. The San Bernardino Mountain regions have Caltrans-permitted and -trained chain installers available during periods when chains are required. Motorists are urged to drive carefully and use turnouts to allow faster traffic to pass. Stock vehicles with water, snacks, blankets, a charged cell phone, flashlight and a full tank of gas before visiting the mountains. For safe winter driving tips and chain control information please go to http://www.dot.ca.gov/cttravel/winter.html. Check out Caltrans’ “Quick Map” for current road conditions and chain requirements at http://quickmap.dot.ca.gov. For real-time traffic, download the Quick Map app on iTunes or Google Play. Be courteous. The mountains are a full-time home to thousands people. Visitors should carry their trash with them or use one of the dumpsters located along state highways 18 and 330, which are generously provided through a partnership between county government, Caltrans and Burrtec. Park only in areas clearly designated for parking. Illegally parked vehicles, especially those blocking roads or snow plows, will be quickly towed away. Law enforcement will be present in greater numbers and will actively enforce laws concerning driving, chains, parking, roadside play and littering. Your message needs to be in multiple languages. A large number of people that visit us up here don’t know English. Hi Don, that is a really good suggestion. In the meantime, there is a translate feature in the upper right hand corner of the page in some web browsers and that does sometimes help translate the material. Again, thank you for the feedback regarding diversity of languages.